It isn’t easy going cold turkey. For months on end I made a practice of not writing. It became a habit. Now, all of a sudden, I have to stop not writing? Every day? Not only that, I have to stop not thinking. Stop not observing. Stop not daydreaming and not making connections. It’s a lot to ask for. Especially while I’m sitting on a bumpy bus rattling down a headlight-lit highway from New Hampshire to Boston. The movie “Eddie the Eagle” is being shown on the six overhead screens scattered around the bus and I can’t help getting absorbed by the story. I can’t resist a good going-from-zero-to-hero montage. Besides, it’s so much easier to watch Edie achieve his dream than for me to write a sentence. So instead, on the bus, while I watch, I’m thinking about things I could tell you. For instance, I’m thinking about the poet I saw walking down the street in Hanover; the one wearing a t-shirt that said “Neruda.” That guy, he knows who he is. And I’m thinking about the college student who raced up the sidewalk on her bicycle so fast I thought she might smack into the building behind me, but instead she swooped like a swallow right up to the brick wall, and then, with the most elegant and practiced grace, she dismounted, looped her bike lock around the front tire, and slipped through the building’s door, all in one motion. And I’m thinking about the Mini Cooper that drove past as I waited for the bus, a skeleton sitting in the front passenger seat, its skull angled so it could look out the open window, its eyeless eye holes watching me. And I’m thinking that Lin-Manuel Miranda is a cruel genius and today, as usual, I have one of his “Hamilton” songs stuck in my head. And I’m thinking that I learned today that the word “rowen” means the second crop of hay in a season. And that it also means aftermath. 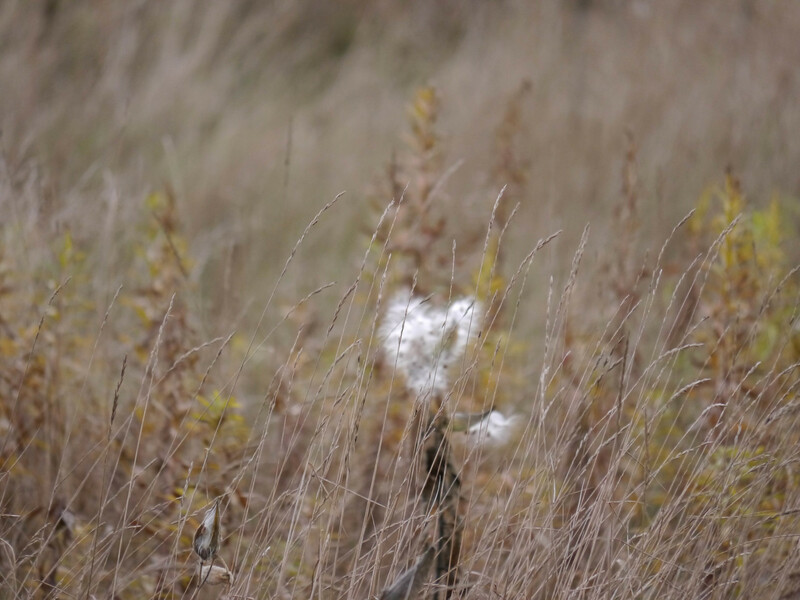 And I’m thinking about the milkweed pod I saw in the hay field earlier this week. A slow motion explosion of fluff in the shape of a heart. The aftermath of an invisible process of light, temperature, and time. Something a writer could conjure for you in a slow burst of words, if only she could think of the right ones.